Manchester United have announced that the club have opted not to sign Radamel Falcao on a permanent basis, and the forward has returned to AS Monaco following the end of his season-long loan deal at Old Trafford. Read the latest transfer gossip on the Red Devils! The forward, therefore, made his final appearance for United last weekend in the draw against Arsenal after missing out on the trip to the KC Stadium on the closing day through injury. 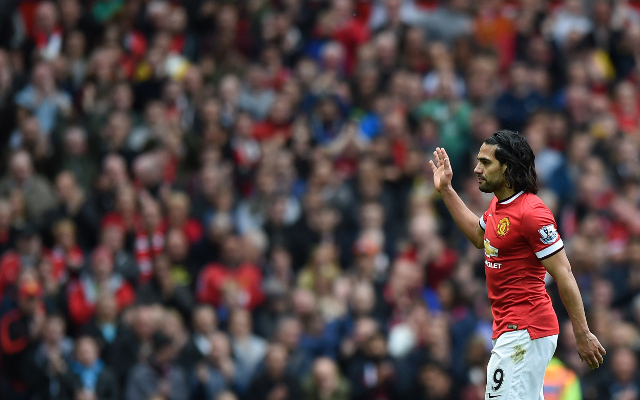 The Red Devils had the option of buying Falcao on a permanent deal for £42.3m, but his four goals in 29 appearances haven’t been enough to persuade Louis van Gaal that he should remain in Manchester. The 29-year-old caused considerable excitement among the Red Devils faithful when he signed on deadline day last summer, but the hysteria was short-lived with his form in front of goal leaving much to be desired. A lack of fitness and a shortage of confidence has proved costly during his time in the Premier League, and it remains uncertain what shirt the Colombia international will be wearing next season. Football fans, however, will be hoping that the forward – who once stunned Chelsea in the UEFA Super Cup for Atletico Madrid only two seasons ago – rediscovers the prolific form that earned him such recognition.